A gift that keeps on giving for years to come! 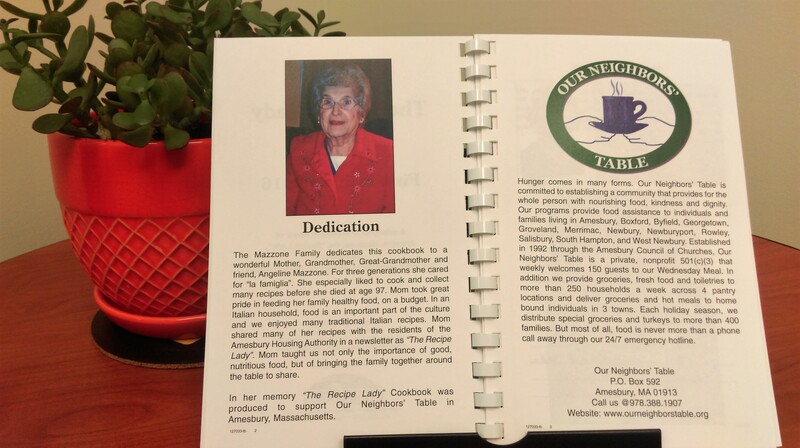 Bob Mazzone and his family published The Recipe Lady cookbook in 2015 to honor his mother Angeline, who was lovingly known as The Recipe Lady. 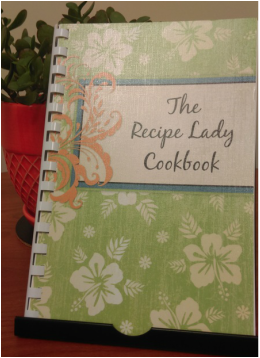 This cookbook contains more than 100 recipes that Angeline adopted, adapted, or created herself to feed her family and friends. 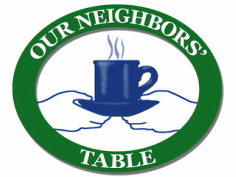 The Mazzone family has generously supported all of the publishing so that 100% of your purchase comes directly to Our Neighbors' Table! Give it as a gift or keep it for yourself and cook for your loved ones.